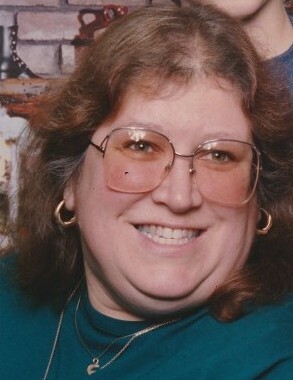 WORTHINGTON-Jayne Marie (Tetreault) Caron, 60, passed away on Sunday, April 7, 2019, at Wingate at West Springfield surrounded by her devoted family. Jayne was born on November 19, 1958, in Springfield, MA to Richard and Evelyn (Belliveau) Tetreault. She graduated from Commerce High School class of 1977. Jayne had worked at Lego for 13 years. During her time at Lego, she held many positions from production support to administrative assistant. Jayne enjoyed playing cards with her family and friends. She also enjoyed bringing her memories to life through scrapbooking. Her favorite pastime was playing games on her phone and computer, especially Bubble Manie and Candy Crush. She was a past member of the Loyal Order of Moose in Chicopee, MA. Jayne is predeceased by her uncle Tom Gouvan, she leaves her husband of 22 years Peter Edward Caron of Worthington, MA, her mother Evelyn Tetreault of Rock Hill, SC, her father Richard Tetreault and his wife Anita of Chicopee, MA, her brothers Roy Tetreault and his wife Wendy of York, SC and Joseph Tetreault and his wife Sandy of Enfield, CT, her sister Mary Tetreault of Enfield, CT, her aunts June Gouvan of Springfield, MA and Pat Pryor and her husband Jeff of Longmeadow, MA, her uncle Bill Belliveau and his wife Jan of California, her step-son Daniel Caron of East Hartford, CT, her neighbor and best friend Kathy Phillips and her family, along with many other family members and friends. A private service for the immediate family will be held at their convenience. In lieu of flowers please consider a memorial donation in Jayne’s memory to the National Living Donor Assistance Center PLEASE CLICK HERE to make an online donation with a credit or debit card. To make a donation to the National Living Donor Assistance Center by mail please make checks payable to ASTS Foundation and mail to ASTS Foundation, 1401 S. Clark St. #1120, Arlington, VA 22202. Donations may also be made to the American Diabetes Association PLEASE CLICK HERE to make a donation online with a credit or debit card. To make a donation to the American Diabetes Association by mail PLEASE CLICK HERE for a printable form to complete and mail to the American Diabetes Association, P.O. Box 15829, Arlington, VA 22215.